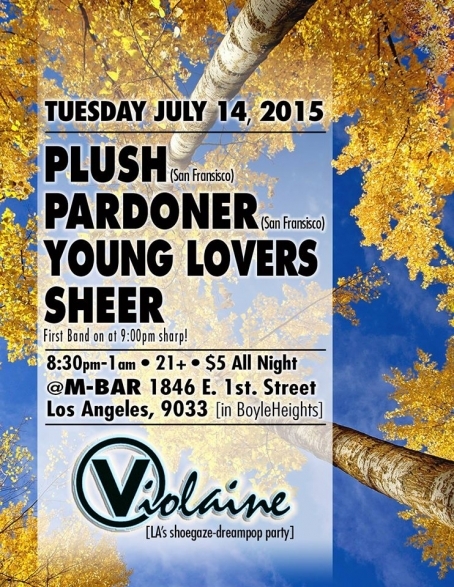 San Francisco's PLUSH and pardoner are making rounds on their first tour together through California, and tomorrow they're hitting up Club Violaine's M-Club in Boyle Heights tomorrow, July 14. 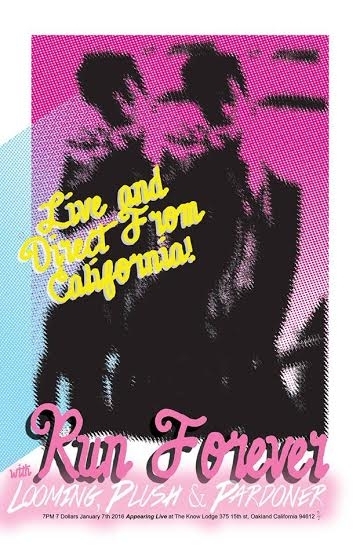 Enjoy the comforts of Sonic Youth-inspired noise-punk (pardoner), a rarity in Los Angeles, and 50's-reminisicent pop churned through fuzz and reverb aka sob rock (PLUSH). The night will be supported by rising locals: post-rock group Young Lovers and doomgazers SHEER. If you've been to any of their recent shows you know how expansive these two can get. So you'll probably want to bring earplugs.